Middle School Camp is like none other. It is intentionally designed to help your students grow in their relationship with God through Gospel proclamation, robust biblical teaching, and Christ-centered worship. While also engaging in high-energy activities your student will not soon forget. 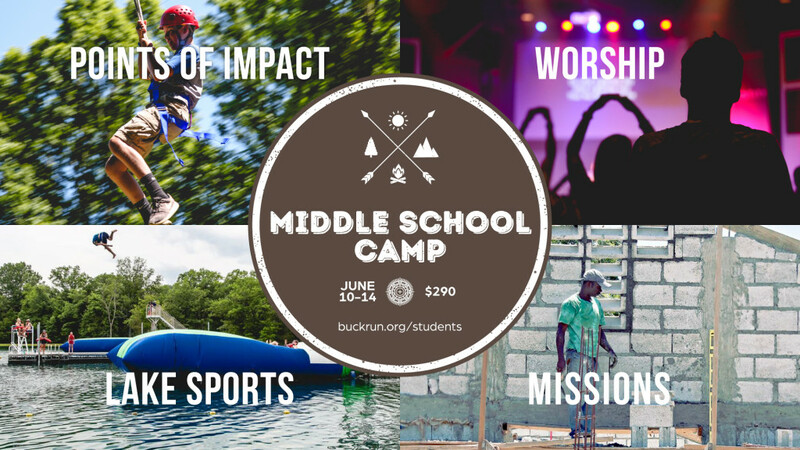 Middle School camp is for students are in 6th-8th grade in the 2016-17 school year. The $290 total cost includes all meals, transportation, camp fee, and t-shirt. Secure you student’s spot by paying a $100 deposit through the link below by April 30.